If you were to ask a layperson what an idol is, what would likely first come to mind is images of AKB48 and their dozens of members dancing in unison to perky, cute J-pop. The next thing they think of may be scandalous stories about an industry that exploits young women, turning their bodies into a product for the consumption of adult men. The idol industry has a reputation for scandals, such as the famous case of Minami Minegishi from AKB48 shaving her head after being caught with a boyfriend. While it’s not necessarily unfair to associate these things with idols, as there are genuine abuses within the industry, to focus exclusively on them ignores the unique, empowering and expansive subculture behind idols and their fans. The industry is also home to many unique artists performing almost every genre of music, creativity on display in their dances, costumes, and often their songs as well. Not only that, you can find positive and representative messaging and a welcoming and caring community of fans with which to engage in an exciting and expansive subculture. It’s still important to acknowledge the abuse in many parts of the idol industry. Many talent agencies use exploitative, controlling contracts to make sure their performers conform to the agency’s image. Low pay can make the idols, especially young women, vulnerable to exploitation by their management. A few weeks ago, Buzzfeed Japan reported that a former Niji No Conquistador idol was suing the now-former president of pixiv, Nagata Hiroyuki, for sexual harassment, which he admitted partial guilt towards. At the 2018 Kohaku Uta Gassen, a special New Year’s music event held yearly by NHK, multiple members of the Keyakizaka46 group collapsed on stage during a performance because of overwork. And, in March, Enoha Girls member Oomoto Honoka committed suicide at the age of just sixteen, raising questions about how the group’s management handled the situation. Later comments from the girl’s mother noted pressure to focus on the group at the expense of her education and a ‘penalty fee’ she would be forced to pay if she left, a claim the management denied. While these scandals show the need for industry reform to protect the idols themselves and prevent exploitation by addressing the power imbalance that has formed within it, they often form the entirety of the discussion, ignoring idol content that doesn’t conform to such negative stereotypes and all the good that idols can do. To properly improve the industry, it’s just as important to promote the positive elements as it is to criticize the harmful ones. Even though most people associate idol music with J-pop, that doesn’t represent the wide variety there is within the industry. The term “idol,” rather than referring to a particular musical genre or style, refers more to the marketing and framing of an artist or group, where the member or members’ personality and narrative is given a greater importance than their music. They are often promoted as role models and pushed to maintain a clean, “kawaii” image and cultivate a fanbase that wants to see them work hard to achieve their dreams, such as AKB48 and Keyakizaka46. As an antithesis to this, there are also groups like punk- and rock-idols BiSH and EMPiRE. Most people who hear Black Clover’s ending theme, “Black to the Dreamlight” by EMPiRE or watch its superb music video wouldn’t expect it to be from an idol group. 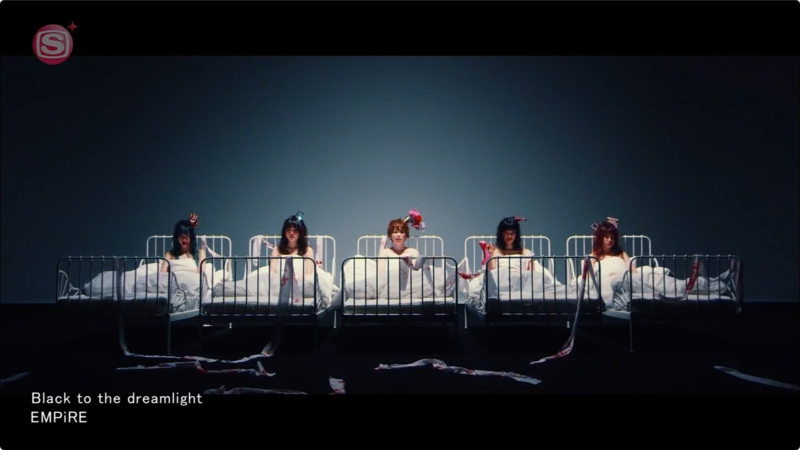 These kinds of groups are labeled as “anti-idol” for the way they incorporate many elements of the industry’s traditionally “clean,” scandal-free image while often rejecting the cuter stylistic choices of traditional idols. Though they’ll perform at idol events such as Tokyo Idol Festival, their style of performance differs from many artists you would attend the event to see. “Anti-idol” groups aren’t the only ones to defy common stereotypes and build an image all their own. Dempagumi Inc. is one of of the best-known idol groups even outside Japan. Although many idol groups are often crafted and marketed towards a predominantly male audience, the founder of their agency Dearstage, Fukushima Maiko, has stated in interviews that she finds it disappointing when she feels an idol’s content excludes women, such as lyrics about falling in love that reflect male fans’ images instead of reality. This inspired her to manage her own groups differently by writing lyrics and designing costumes to be more relatable to women, which has resulted in a large female following. Another group that defies the expectations of a predominantly male fanbase is Momoiro Clover Z, who recently celebrated their 10th anniversary. They are arguably the most popular idol group in Japan, with record-breaking album sales, and were even the first female group to perform at the Olympic Stadium in 2012. They have fans of all ages and genders, allowing them to hold not just male-only concerts, but female-only concerts and and concerts aimed at children as well, adapting setlists, outfits, and performance styles for each audience. Their manager, Kawakami Akira, has stated that the members aren’t banned from having relationships—though none have been in relationships despite this. In addition, there are independent idols with unique selling points and images. Some large agencies, like the aforementioned Stardust, are investing in groups like Himitsu no Otome, a group composed entirely of trans women. While these don’t cancel out the issues with idol culture, many of these groups mentioned are among the most popular in Japan at the moment, and each defy the traditionally held assumptions about what idols are. There’s still the matter of idol fandom itself. Despite stereotypes about idol fans being entirely possessive straight men, the truth is that idol fans are as diverse as the idol groups. While I can only speak for the groups I follow and fandom spaces I engage with, I feel sharing stories of my own experiences is also the best way to challenge the stereotype and show how welcoming and kind the fanbase truly can be. I’ve been fortunate enough to see my favourite group, Momoiro Clover Z, twice—once in Osaka at the 30,000-capacity Kyocera Dome in 2016, and in New York at the much-smaller Playstation Theatre later that year. Going to Osaka was an admittedly scary experience, since I was the sole foreigner and had very little Japanese language skill. I traveled alone to the venue, but once I arrived I was immediately welcomed. Some fans were sharing handmade art prints and keychains with others for free to spread their passion for the group; others were cosplaying in the groups’ past outfits. One fan even gave me two CDs for a different group as a present, asking me to give them a listen. Everyone was welcoming and impossibly kind; far from a possessive atmosphere. Our interest in an idol group transcended the language barriers that were present between us. While one person I already knew was bilingual and could sometimes translate, there were still times when translation wasn’t available. Yet, through this shared passion, we became friends despite the barriers and created many positive memories I’ll cherish forever. While in New York, without the language barrier, I met more friends, some of whom I’ve become incredibly close to, and even caught up with one of the people I’d met in Osaka. As with any stereotype, there is a grain of truth to the portrayal of idol fans as heavily-obsessed otaku with at-times sexist, possessive views of the idols they admire. However, to portray the entire fandom that way is just as much an oversimplification as it is to assume an entire industry that encompasses multiple genres and musical styles is all like AKB48. Many idol fans understand and empathise with the concerns about the industry, and some of them have been calling for reform. For example, in a recent court case, an idol who was fired for dating a fan succeeded in suing her agency for damages. Though the sample size is limited, a poll of 202 male college students found the majority supported removing the “love ban” on idols. The industry is constantly evolving and many labels don’t follow these negative practices, while those that do are beginning to receive more and more backlash. There’s so much to discover when it comes to idol music, with many fans willing to help people learn more about their favourite groups, even across language barriers and national borders. Groups like Momoiro Clover Z and Dempagumi Inc., both among the most popular groups in Japan, are positive role models that inspire others with their success and have a varied fanbase that abandons conventional expectations of what an idol fan is. The idol industry is home to many unique artists; there’s something out there for everyone, along with a fanbase happy to help you find what could potentially become your new favourite artist. Thanks to music streaming, YouTube, and the increased international outreach by artists, it’s easier than ever to engage with idol culture and discover it for yourself. There’s so much to enjoy, and when people dismiss it, assuming it’s not for them, they are denying themselves the chance to embrace a subculture and industry that’s truly special. Alicia Haddick is a 21-year-old transgender university student from the UK studying Japanese. Between studying and engaging in idol and general otaku culture, she occasionally writes on her own blog SOCIALANIGIRL RAMBLES and tweets way too much on her twitter account @socialanigirl.